This PDF 1.5 document has been generated by Microsoft® Publisher 2010, and has been sent on pdf-archive.com on 31/10/2016 at 16:57, from IP address 216.161.x.x. The current document download page has been viewed 167 times. File size: 18.8 MB (36 pages). with my clients when they ask about the area, amenities, value and the property. time home buyer get there keys. Or a veteran using there VA benefits from their service to this country. 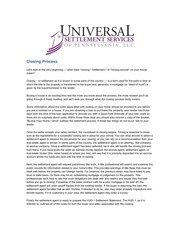 To a retiree relocating to Arizona, or for my clients just wanting to purchase that second vacation home. And to my many investors that enjoy real estate over and over again, it never gets old. 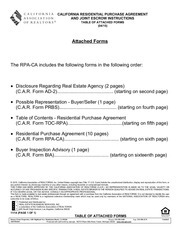 Realtors, and the Real Estate Buyer’s Agent Council. the one and only Realtor you’ll ever need or recommend. I promise you’ll find that in me. 1. Invest in landscaping where it can be seen at first sight. 2. Cut back overgrown shrubbery that looks scraggly or keeps light out of the house. 3. Paint your house if necessary. This can probably do more for sales appeal than any other factor. 4. Inspect the roof and gutters. 5. Consider putting flowers outside, near the front door. 6. Repaint the front door. cabinets and put up perky new curtains. 8. Clean the ventilating hood in the kitchen. 9. If the kitchen floor is badly worn, put down new flooring. Replace any broken or chipped tiles. 10. Remove any appliances that you keep on your counters. Clean counters make the room look larger. 11. Have all plaster in top shape. 12. Check ceilings for leak stains. Fix the cause of the damage, repair the ceiling, and paint. 13. In painting and redecorating, avoid offbeat colors - stick to easy-to-work-with pastels inside. 14. If you have a fireplace, clean it out and lay in some logs to make it look inviting. 18. Check to see that all windows will open and close. 19. Replace burned-out light bulbs. Use brighter light bulbs. 20. Make sure every light switch works. 21. Make the floors shine. 22. Straighten up the closets - get rid of excess items. Use air freshener to eliminate musty odors. Lubricate any sticky or squeaking doors. 25. Use special cleaning products to remove stains from toilets, bathtubs, sinks and showers. 26. If sink and bathtub drain too slowly, unclog them. everything you wont need until you're settled in your new home. 28. Keep room draperies and shades open to let light in. It makes the room appear larger. 29. Have your home well lighted during the showing. 30. At night, turn on the porch light and outdoor lighting in back if you have it. 31. Neatness makes a room look bigger. Avoid clutter. 32. If possible, leave your furniture and rug in the house for showing. 33. Avoid having dirty dishes in the sink or on the counters. 34. Keep any toys in the children's rooms. 35. Keep radio, stereo and TV off or turned down. 36. Take your family away if your broker is holding an Open House. professional skills in selling your home. 38. Don’t mention furniture or furnishings you wish to dispose of unless asked. 39. Take pets outdoors when your house is being shown. 40. Let the Agent show your house, and don't tag along. process we are not knowledgeable about. This is the time to turn to a professional home inspector. substantial amounts in the future by investing a small amount now. looks at to determine the integrity of the essential internal and external structural components. signs of fraying on the wiring? Built-In Appliances: Are they functioning properly? septic systems, roofs, drainage, wood decks, patios or other exterior structures. sold in the past year and are similar to your house in regards to livable area, age and amenities (i.e. swimming pool, fireplace, garage or carport) can be considered. in the past several years including the approximate amounts spent for each improvement. the lender involved in the transaction. such as; heating, air-conditioning, dishwashers, garbage-disposals, etc. This file has been shared by a user of PDF Archive. Document ID: 00502016.